Course Aims: The CPCS A62 course aims to provide the candidate with a thorough practical and theory training in the role of a Crane Supervisor / Lift Supervisor in order to to enable the candidate to pass the CPCS Theory and Practical Tests. 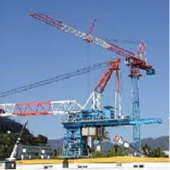 Explain the duties, responsibilities and limitations of: an Appointed Person, a Crane Supervisor / Lift Supervisor, a Crane Operator, a Crane Co-ordinator, a Slinger, a signaler, a crane erector, and maintenance personnel. Confirm weights and centers of gravity for different types of loads in accordance with a given method statement.